A freelance professional photographer, Priya Goswami is passionate about clicking babies and kids portraiture. She is someone who can help you re-live each moment of tenderness with your child all lifelong through her imagery. Since photography was her true calling in life, she left her full time corporate job as a marketing and brand professional with an MNC to follow her passion. By qualification she is an MBA from Indus Business Academy, Bangalore, India, and has a decade long experience in the industry as well. To further her natural art and talent for photography, she has also studied photography at the Triveni Kala Sangam in New Delhi, India. “For those who want to keep it relaxed, I specialize in shooting at the comfort of your home without disrupting the routine of the baby. Familiar environment puts the baby and the parents both at ease, making the session a comfortable one. More than simply clicking poses, I prefer to capture the natural activities and moments of the baby”—Priya Goswami. 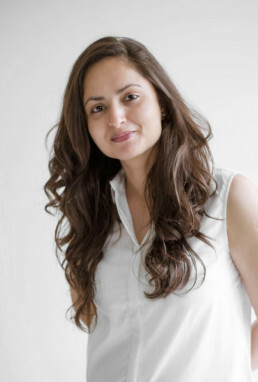 Priya Goswami is based in Delhi/NCR and travels across the country for assignments. Currently working on her personal project-Mom & Baby Series, she loves capturing the moments & bonding-candid, spontaneous pictures that spell a story. She also does travel photography and writing and is contributing to many online travel magazines and publications.